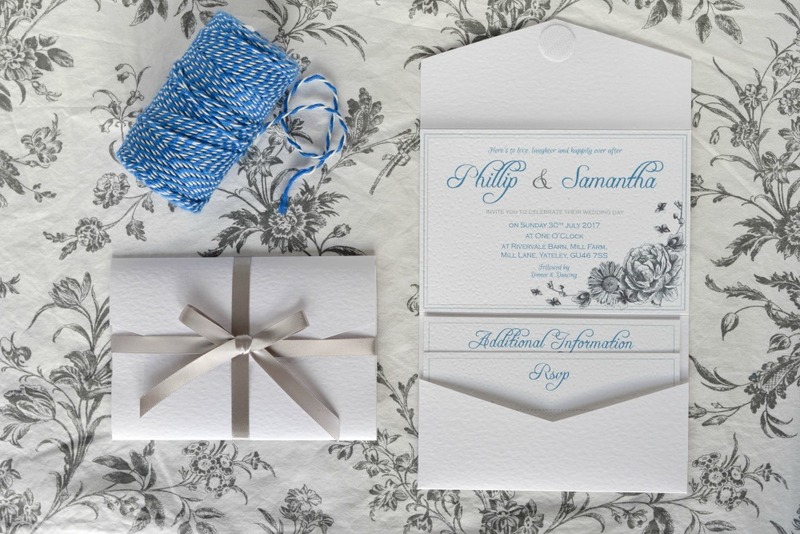 For their wedding at Rivervale Barn, Hampshire, Phillip and Samantha asked me to use a previous design I had designed to create their wedding invitations and on the day items. 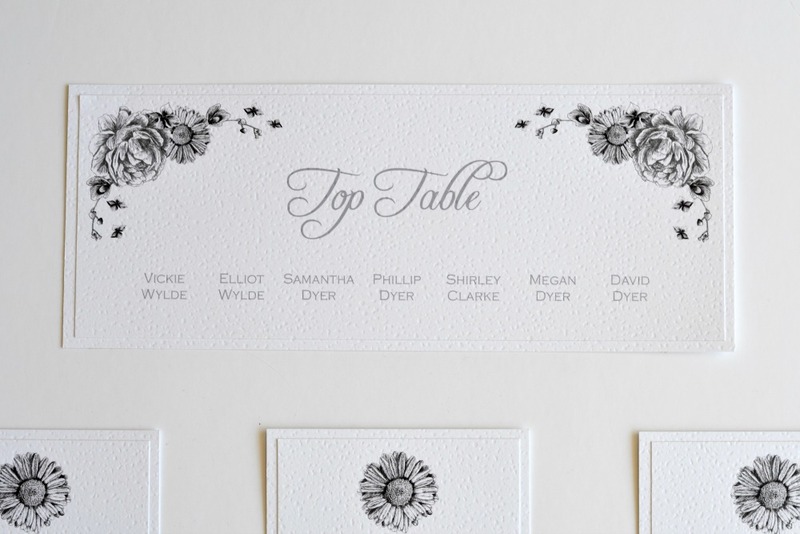 It was a floral design of hand drawn flowers including peonies, sunflowers and orchids. 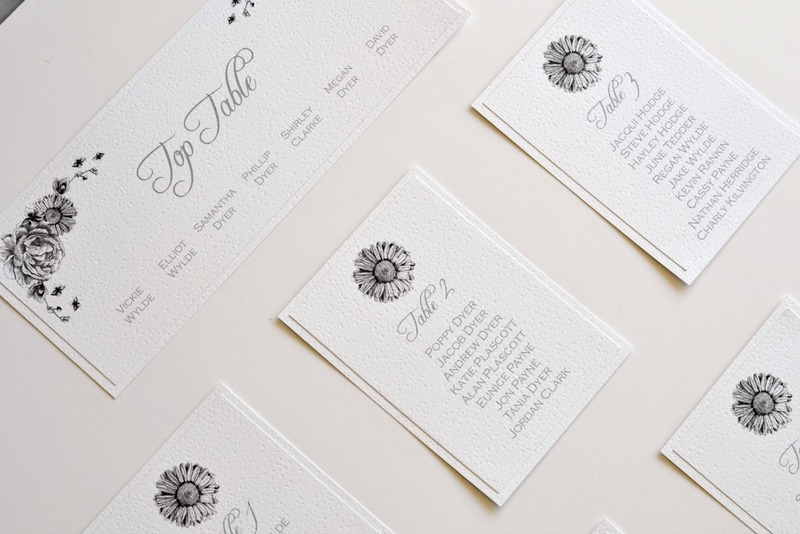 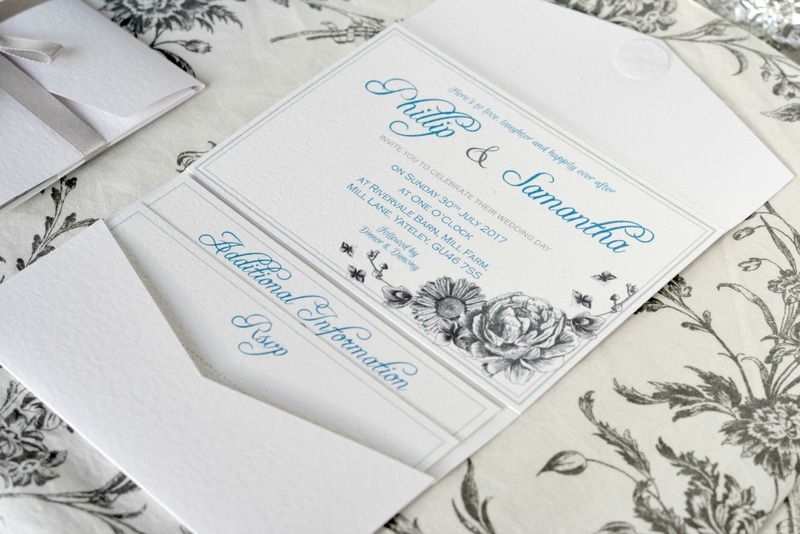 We paired this with a white textured card stock and a simple blue and grey colour combination. 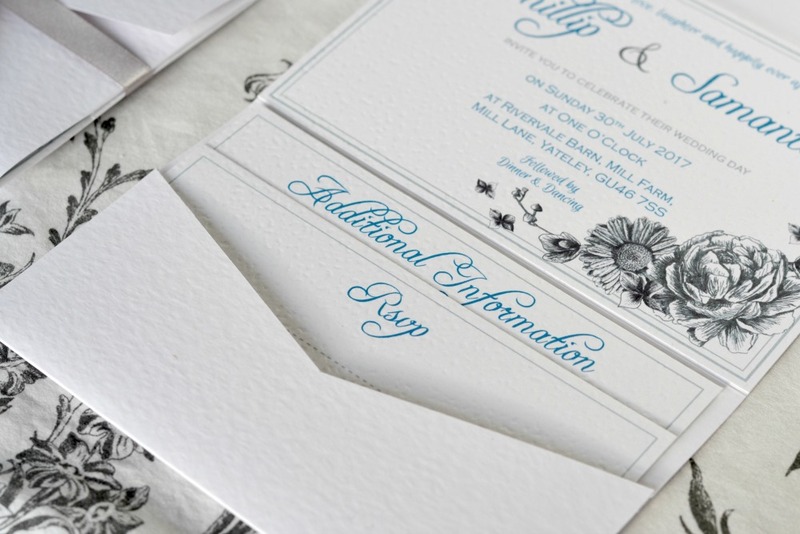 Simple but classic, we love it!